1. Sign-up or Log into your Lambda Test account. 2. Select Settings from the left side menu, and go to Integrations → Install Paymo. 3. At this point, you’ll be asked to add your Paymo API token. 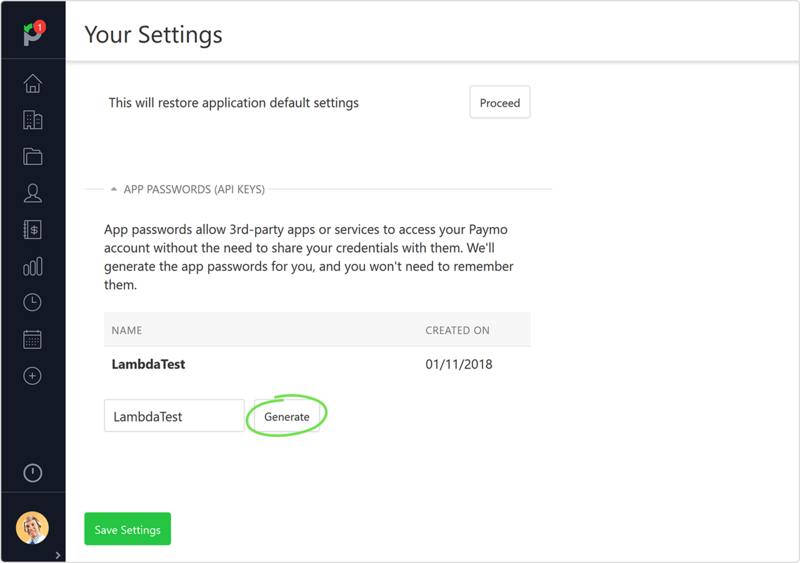 For this, log into your Paymo account → click on your profile (bottom left corner) → Your Settings. Scroll to the bottom until you arrive at App Passwords (API Keys) → click on Generate to create an API Key. 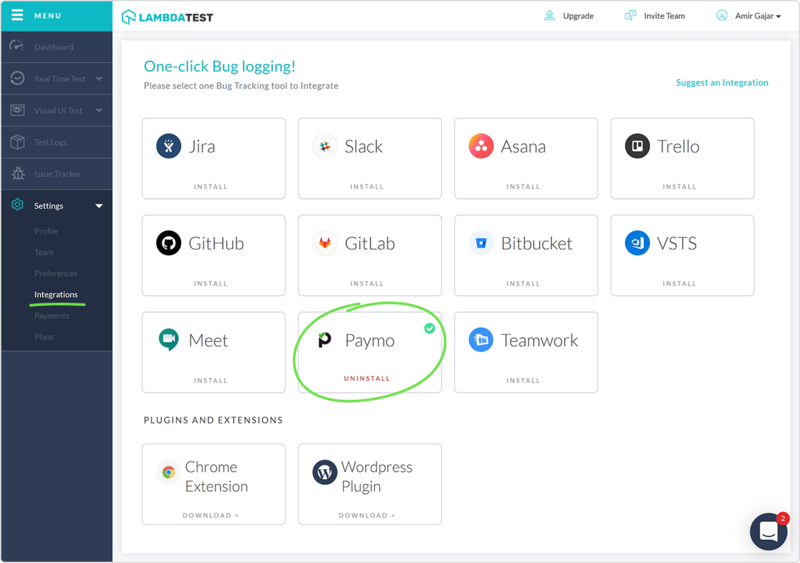 Next, copy-paste it into the Paymo API Key field in LambdaTest to configure the integration. Once done, you’ll get a checkmark around the Paymo tab. 4. You’re now ready to use LambdaTest. Select Real Time Test from the left side menu. 5. Enter a website, then choose your desired web browser and screen resolution. 6. 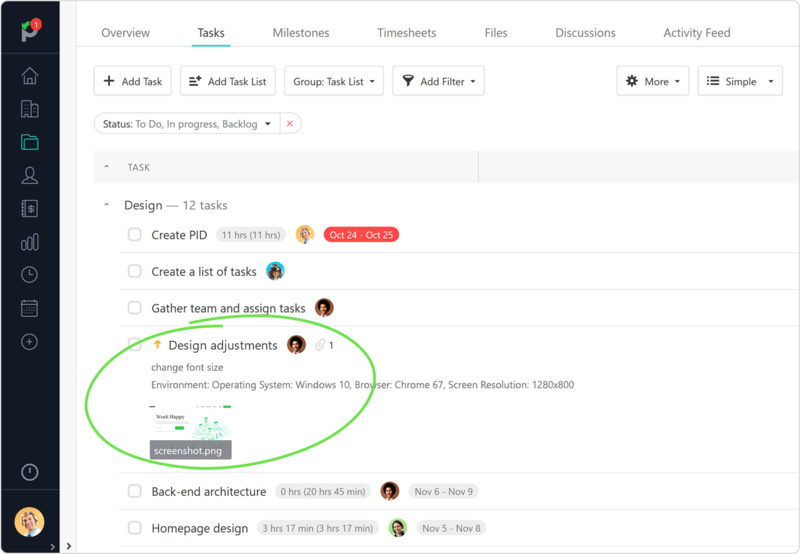 Once loaded, take a screenshot from the camera icon and annotate any necessary changes. Then hit the Mark as bug button. 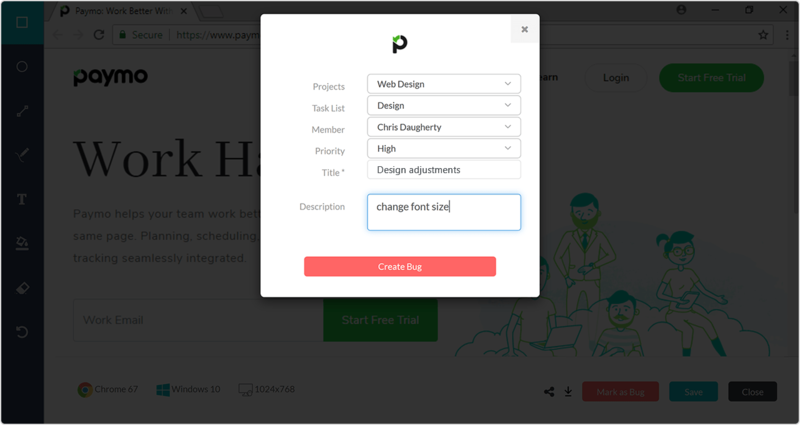 A pop up will open up that will ask you the project, task list, assigned user, task priority, task name and description you wish to match this bug within Paymo. 7. 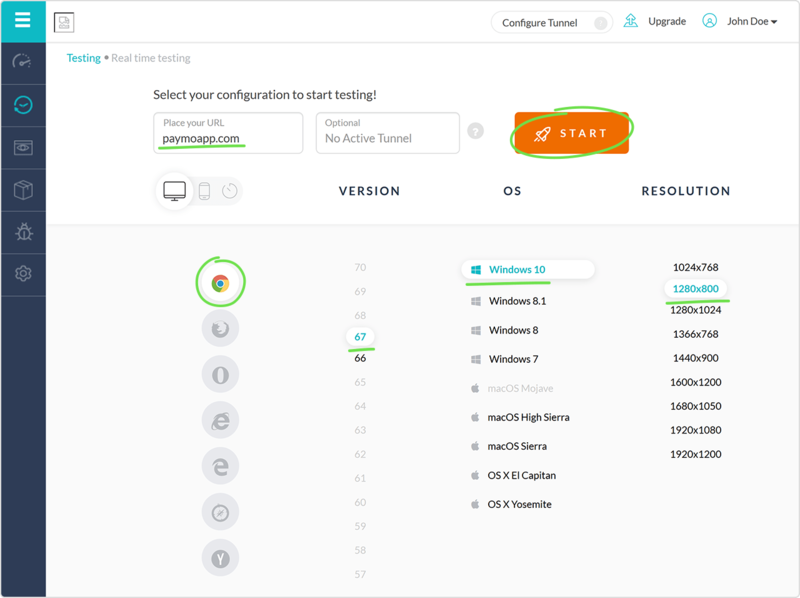 Once created, the bug will show up under the desired project, together with the screenshot and details about the testing environment (operating system, browser version, screen resolution).